2005 Grand Jury report recommended a new fire station for Fountaingrove. Now what? 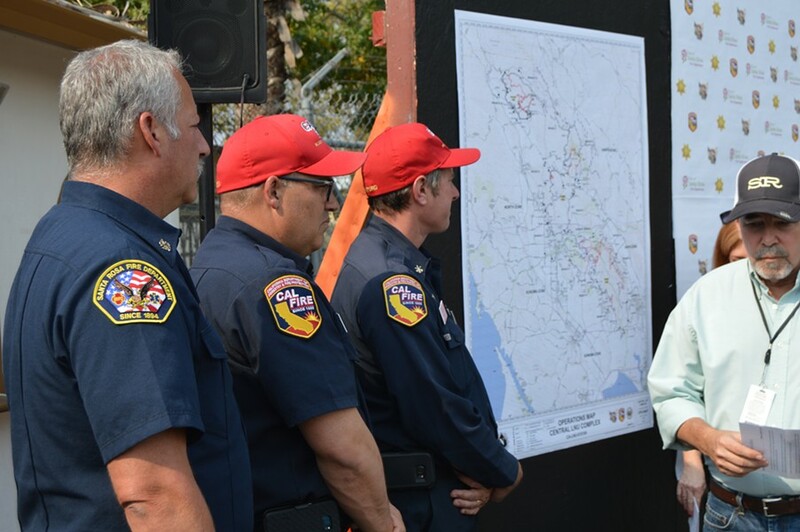 SRFD Chief Anthony Gossner with Cal-Fire colleagues. An 2005 independent audit of municipal fire services in Sonoma County concluded that the Santa Rosa Fire Department’s facilities “have not kept up with the city’s growth in recent years,” as it recommended that the city take up the recommendations of a 2004 Sonoma County Grand Jury report that highlighted a number of SRFD shortfalls in service, response times and deployment of resources. So, how did the numerous Grand Jury recommendations—build more stations, buy more equipment, upgrade systems to improve response times, etc.—play out over the following decade? Santa Rosa Fire Chief Anthony Gossner says about half the recommendations were implemented by the time of the Tubbs fire. “We haven’t gotten it all done,” Gossner said during a recent interview at the Sonoma County Fairgrounds. And one of the recommendations that was implemented turned out to be kind of a bust: The Grand Jury called for the construction of a new firehouse in the Fountaingrove part of town. As long-time Santa Rosa Bohemian readers have recently pointed out, that area had been the subject of intense local debate at the turn of the century over the wisdom of developing luxe homes in a fire-sensitive area. Those concerns were, however, drowned out by developers and their local enablers in the political and media class who championed the emergence of a new Santa Rosa enclave—complete with its own brand-new fire station. Then it all burned up.